One of the things that I love about Korean skincare is trying out products with unique ingredients that aren’t commonly found in Western skincare. Last time, we introduced you to the nutrient-packed natto gum. This time, we’re putting the spotlight on an ingredient that has the entire Glow Recipe team obsessed–the lotus! The lotus is a prominent cultural symbol in Asian cultures and is one of the sacred flowers of Buddhism. The lotus can grow in even the muddiest waters and still bloom beautifully. Some lotus seeds have even been known to germinate after centuries of lying dormant, which speaks to the incredible vitality of this botanical. The flowers sink under the water at night time, and rise again with the first light of dawn. 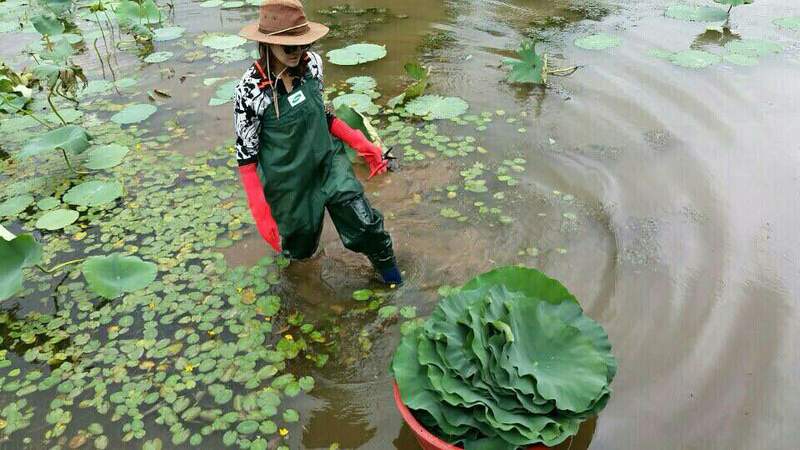 Because the lotus is so beautiful, unsullied by its humble and muddied surroundings, it has come to symbolize the purity of heart and mind in Buddhism. Hydration: the lotus is known for its serious hydrating qualities. It instantly quenches dry, flaky skin, increases skin elasticity, and can even reduce fine lines, wrinkles, and brown spots! Regenerates: the lotus contains natural alpha-hydroxy acids (AHAs) that help exfoliate the outer layers of skin, allowing younger skin cells to rise to the surface. The result is a refreshing youthful glow. Soothing: the anti-inflammatory qualities of the lotus help reduce redness, calm inflammation, and prevent acne breakouts. 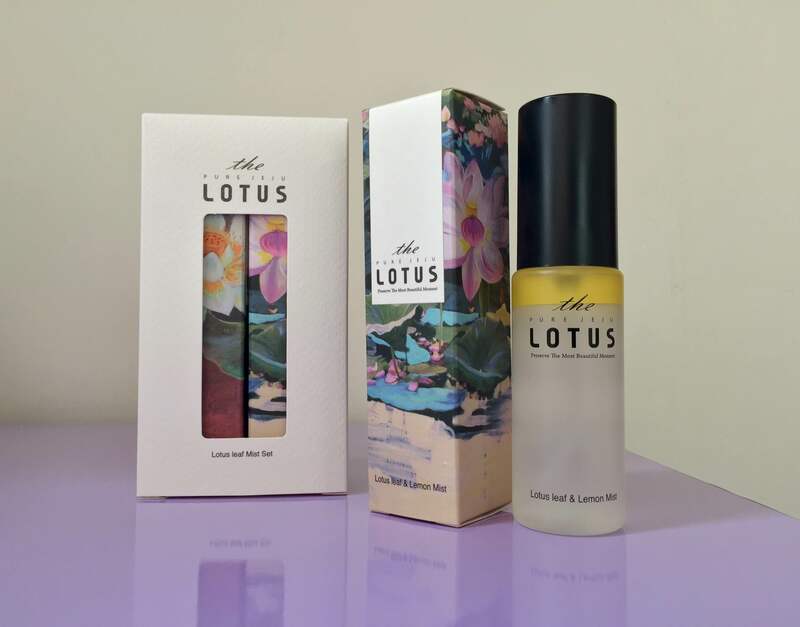 Oil-control: the lotus can help balance out oily skin and reduce the size of your pores! There you have it, the lotus is the perfect multitasking ingredient. A fun fact from the natives of Jeju Island is that lotus powder is folded in between the leaves of cabbage when making kimchi to keep the texture crisp and fresh without sogginess – another testament to the revitalizing powers of the lotus. In the hot summer months, I would highly recommend the Essence Lotion with Lotus Leaf. I love the fact that it’s made with a high concentration of 70% lotus extract, and the coolest part about this product is that it’s made entirely with lotus found at a pristine mountain temple on Jeju Island. This is a great summertime moisturizer. The consistency is a little thicker than a gel moisturizer, but much lighter than your normal creams. I’ve even gotten my super picky boyfriend to use this moisturizer. Thank goodness you only need a tiny pump of the lotion to cover your entire face or else he’d have used it all by now, haha. For getting my boyfriend to finally start moisturizing his face, this lotion definitely gets an A+ in my books! And for a little some-some extra: If you’re feeling fancy, try the Lotus Leaf & Camellia Mist or Lotus Leaf & Lemon Mist. I love spritzing it on my face throughout the day to cool down and calm my skin. And on nights when you need a little extra boost of care, the luxurious yet lightweight Lotus Leaf Extract Sleeping Pack is sure to get the job done. The beautiful lotus designs on the boxes are by the founder’s mother Kang Myungsoon- a well known artist in Jeju. Love and care is in every detail of this artisanal line, which makes it a uniquely sensorial pampering experience. And there you have it, the latest multitasking super ingredient from Korea–the lotus! P.S. Did you know Jeju island is becoming the new mecca for Korea beauty? Learn more here!